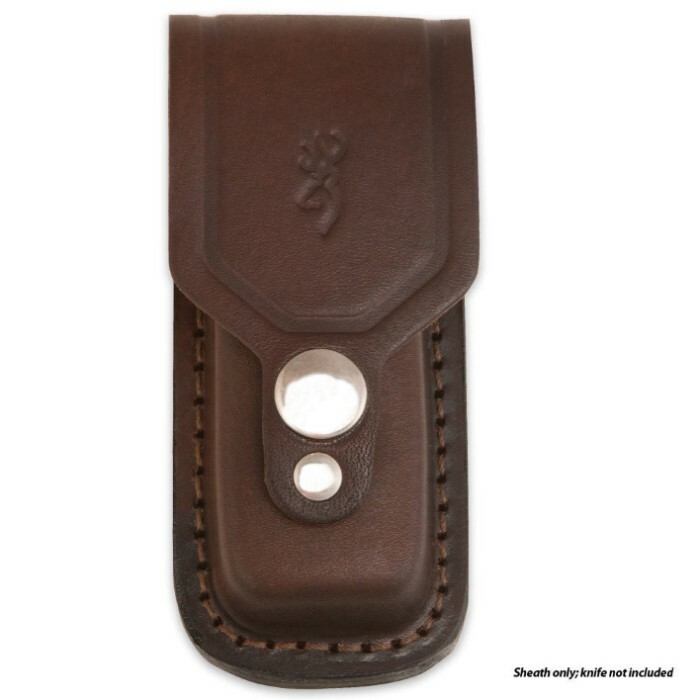 Browning Leather Folder Belt Sheath | BUDK.com - Knives & Swords At The Lowest Prices! This Browning folder sheath is constructed of genuine leather. Features a snap button closure. 4 1/2" ov.